Autumn has finally reached us here in Melbourne and the cooler weather has definitely urged me to go shopping- online shopping! After recently discovering the magic of the capsule wardrobe, I've found that purchasing clothes for myself is no longer a hit or miss, laborious task but in fact, it's really quite easy and quick! The beauty of following a mapped out plan of your wardrobe is you can really hone into an area that you might struggle with and for me, it tends to be picking the wrong colour clothes that never seem to suit my skin tone or style and it's usually an item I purchased because it 'looked great on the model.' Where have we all heard that before? The beauty about this is there are no set rules and you can really take what you want or need and get out of there but I implore you, it's absolutely worth the little time it takes to commit to it and complete properly. If you're not familiar with the idea of what a capsule wardrobe is or would like to check it out, I fully invite you to because it may be the best thing you ever do! 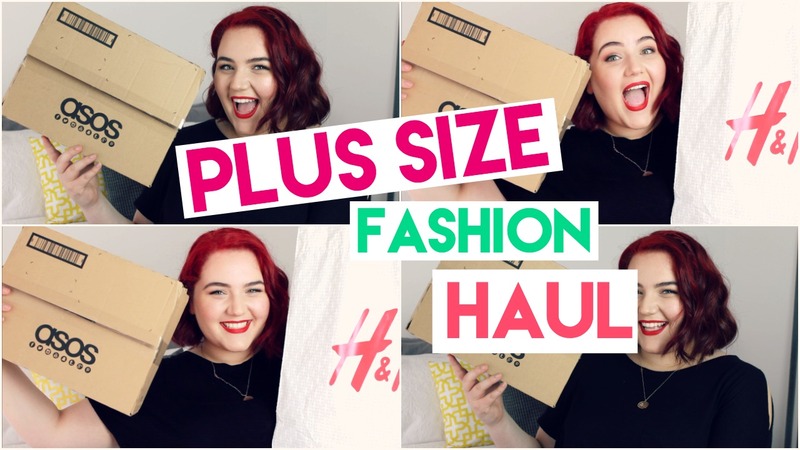 Most of the items included in the haul were bought with my own money but I do have some cheeky appearances from Pink Clove, a UK Plus Size brand who are just absolutely as gorgeous as their stunning clothes! There are still a few items that are missing from my wardrobe, but I will most likely purchase them when the weather cools down even more. What are some of your must haves for the Autumn/ Winter months? Lovely Autumn Fashion. I like the autumn for fashion. I like the summer for short dresses. I mostly like to wear frock kurtis in autumn. Aww I hope you enjoyed it! Thanks so much Zarrah, you're too sweet! Haha I'm totally the same Shireen, my mum even calls me klutz city! Isn't it that we always want what we can't have?! I'm gearing up for summer/spring by me but I love the clothes you picked out! The first two are so stunning! Especially the navy one with the tie in the back. The grey oversized top is great too! Thank you so much gorgeous! I'm glad you enjoyed it!